National known author Gordon Eliot White put many hours of research into this beautiful done book. 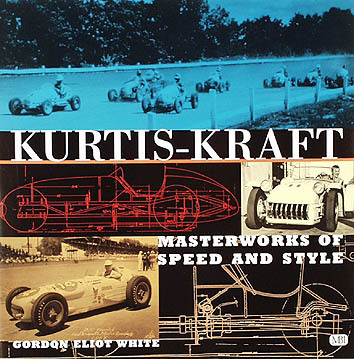 Kurtis built Indy cars, midgets, sport cars, land speed cars, dragsters and even boats in his California shop.His cars were beautiful streamlined and fast. Note: The starting lineup in the 1956 Indianapolis 500 had 21 cars built by the Kurtis shop out of the 33 cars.